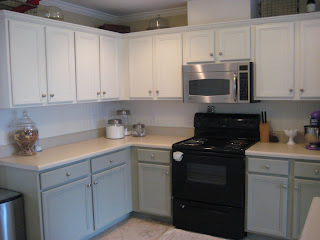 About six months ago I was itching to change things a bit in our kitchen. 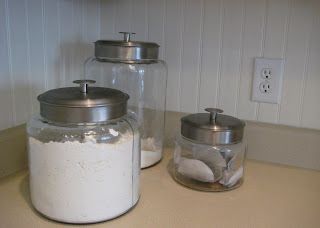 I had been reading a lot of blogs and really wanted to work on some things around our house. I found my inspiration at The Lettered Cottage and kept going back to some of Layla's before and after photos. 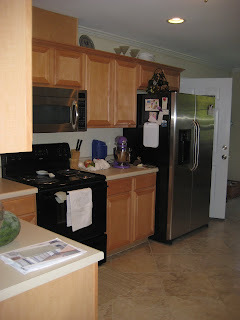 I love her kitchen! I saw similarities in our cabinets, countertops and accessories. I knew something similar would work. 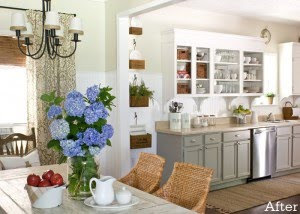 This kitchen is still more fabulous than mine, but it served as great inspiration. It fits our style much more and it was only a two weekend project. 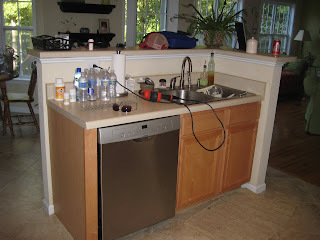 Here are the photos of the the before. I never really liked the color of my cabinets.. 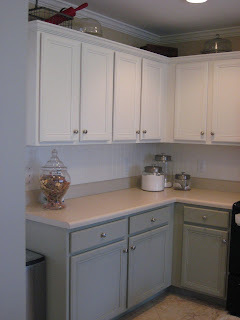 I prefer painted cabinets over wood stained and I wanted a more custom look without the price tag. The kitchen needed stay neutral because we will not be in this house forever and any changes needed to appeal to other buyers. 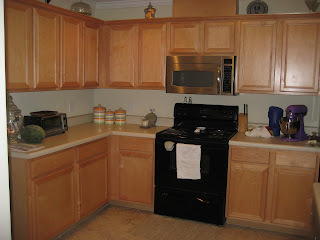 We followed Layla's instructions here (scroll all the way down towards the end) exactly for painting the cabinets, we used the same colors. We did not add new knobs or additional trim to the cabinets. The other change was covering the backsplash and island with bead board. 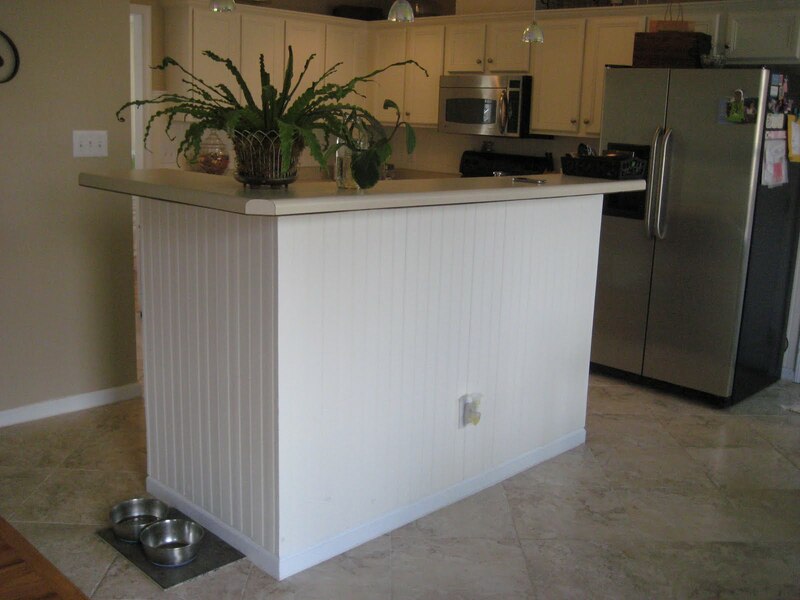 We purchased bead board made of PVC from Lowes Home Improvement. 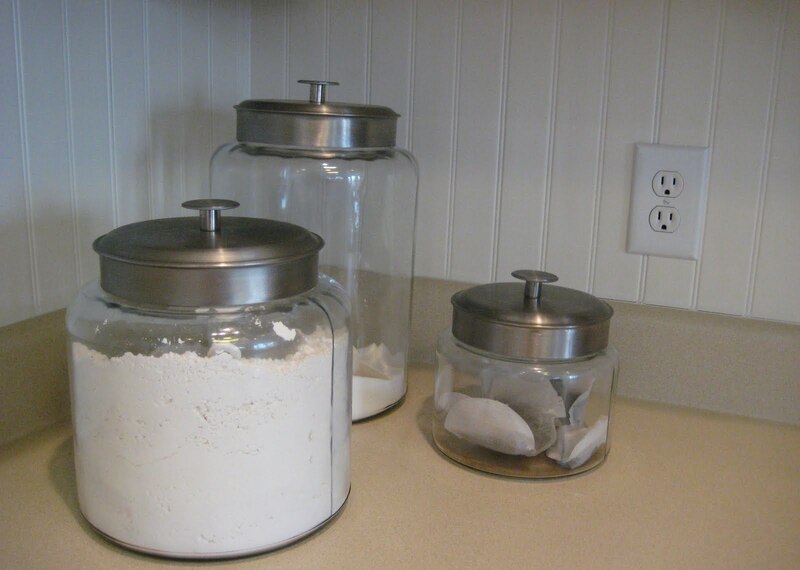 Measured, cut, and nailed in place. 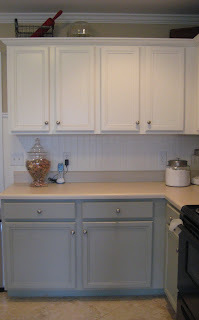 Once the material was up we filled in the nail holes and then painted with the same color as the upper cabinets. 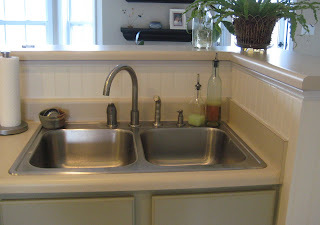 The last step was caulking around the newly placed board with white caulk for a finished edge. I am very happy with the finished result, the kitchen is more cheerful and it feels more open. 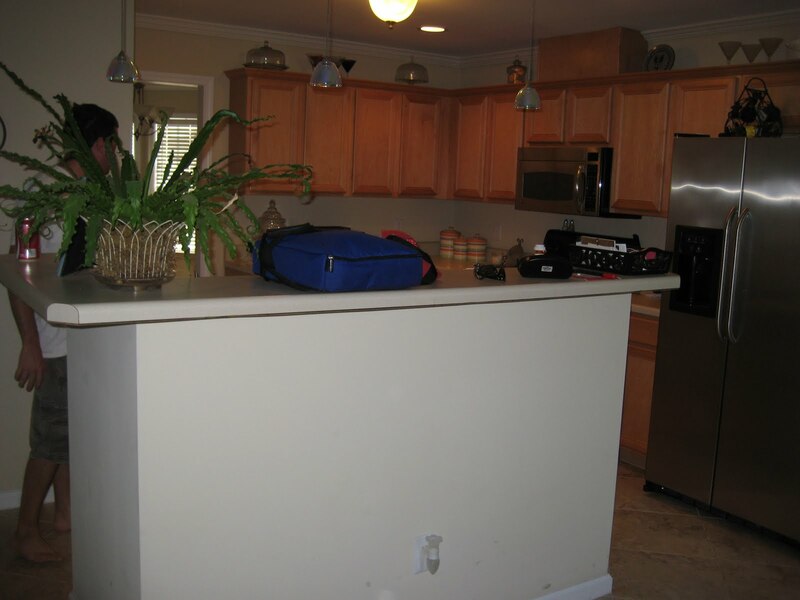 I love what you've done with your kitchen! 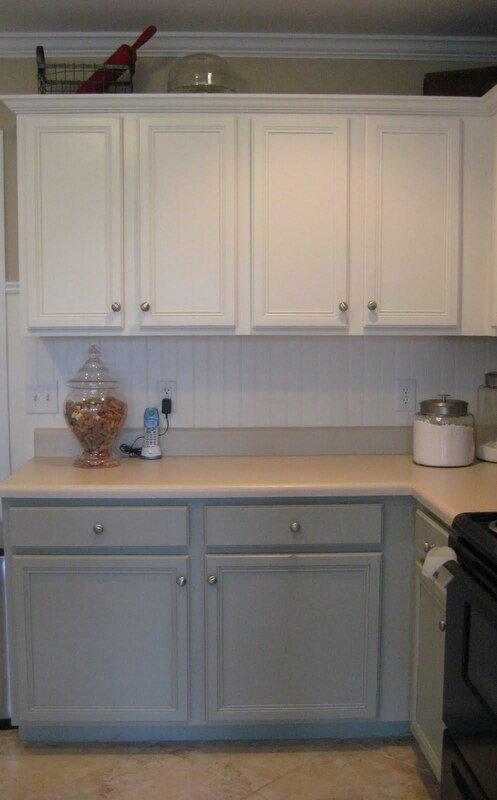 What is the color of the lower cabinets? 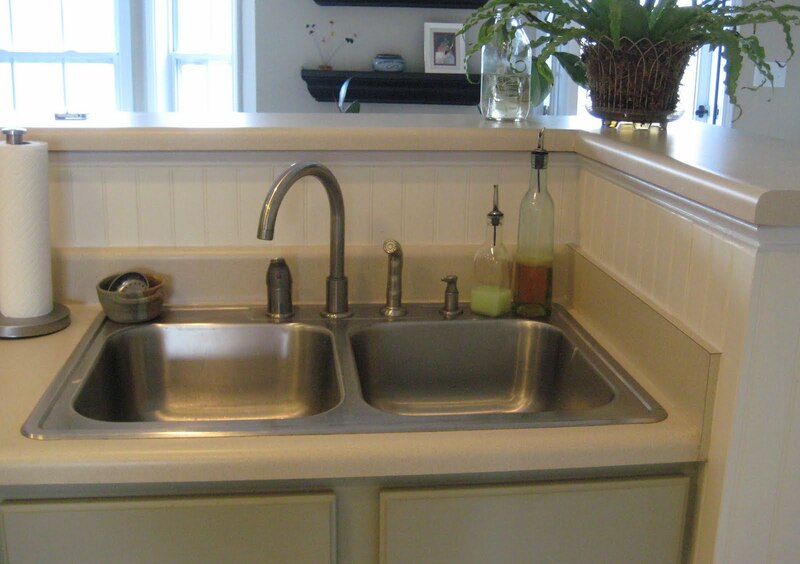 Love the beadboard on the island and hoping to do the same soon. Great job!